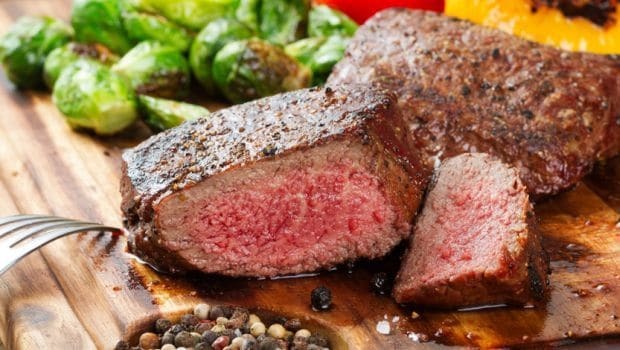 A diet rich in red meat has been linked to a heightened risk of a bowel inflammation called diverticulitis, according to a study published Tuesday. The findings do not constitute evidence that meat is what causes the ailment, researchers said, but ought to be considered in designing healthier diets. Diverticulitis is a common condition which occurs when small pockets lining the intestine — called diverticula — become irritated. It accounts for some 200,000 hospital admissions every year in the United States alone, at an annual cost of about $2 billion (1.9 billion euros). New cases are on the rise, especially among young people. About four percent of those affected develop severe or long-term symptoms, such as piercing of the gut wall, abscesses, and fistula, the abnormal joining together of hollow spaces within the body. Despite its prevalence and impact, little is known about what causes diverticulitis, though previous research found links to smoking, obesity and chronic use of anti-inflammation drugs. A lack of fibre in the diet has also been a suspect, but other possible food-related causes have remained untested. For the new study, published in the journal Gut, researchers led by Andrew Chan at Massachusetts General Hospital combed through 26 years of medical records for 46,500 men in the United States. Every four years, the men were asked to detail their intake of fish, poultry and red meat. Over the 26-year period, 764 men developed diverticulitis. This group tended to eat a lot of red meat. They also smoked more, exercised less, and took more painkillers than others in the trial, the study found. But after these other disease risks were taken into account, the meat-eaters were nearly 60 percent more likely to be afflicted by the condition than men who ate the least amount red meat, the study found. The link was purely observational, meaning that no cause-and-effect can be shown, and that something else may be to blame. But the evidence may be useful as “practical dietary guidance” for people at risk of diverticulitis, the authors said.